Tanner De Witt was proud to support the Hong Kong Family Law Association’s 30th Year Anniversary Celebration 2016. Following our silver sponsorship of the HKFLA 30th Anniversary Cocktail held at the Helena May on Thursday 10 November which was attended by Head of our Matrimonial Practice Mark Side, Russell Bennett, Eddie Look, Joanne Brown and Hayley Hui, we then supported the HKFLA Anniversary Dinner at the Hong Kong Club on Friday 11 November. 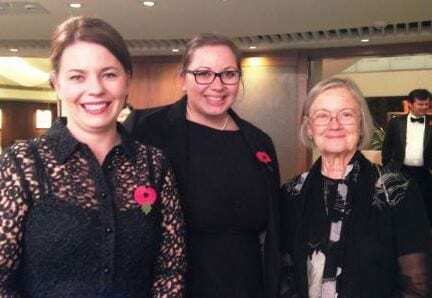 Tanner De Witt matrimonial Partner Joanne Brown and Elizabeth Seymour-Jones of our Litigation Practice were delighted to meet Baroness Hale at this special dinner. Baroness Brenda Hale of Richmond DBE PC QC FBA was called to the bar in 1969 and has been the Deputy President of the Supreme Court of the United Kingdom since 2013. She was listed as the fourth most powerful woman in the UK in the BBC Radio 4 Woman’s Hour 100 Power List in 2013. Upon her appointment as judge in the Family Division of the High Court of Justice she was appointed a Dame Commander of the Order of the British Empire (DBE). In 1999, Hale become only the second woman to be appointed to the Court of Appeal. She was later appointed the first female Lord of Appeal in Ordinary and was created a life peer as Baroness Hale of Richmond, of Easby in the County of North Yorkshire. Tanner De Witt advises families on divorce and associated matters in Hong Kong, often involving international considerations. For companies in the SME sector divorce of owners is frequently a major corporate event. Visit the practice area page here. For more information or to arrange an initial consultation with a lawyer, please contact us.